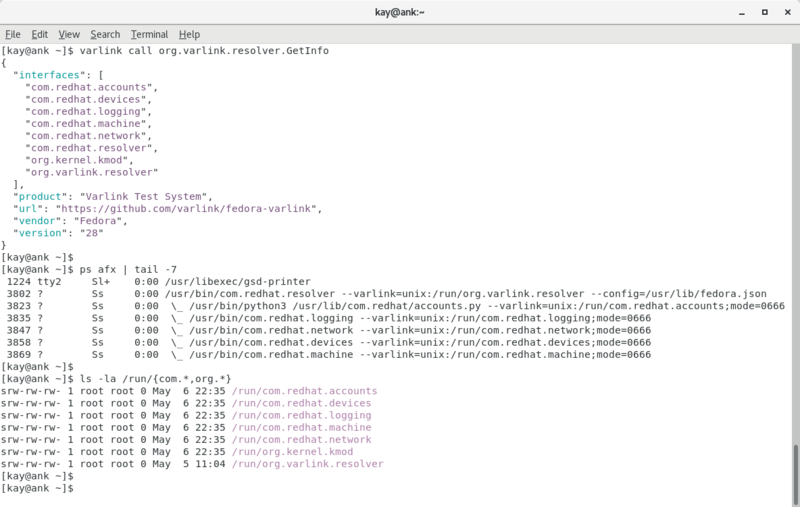 The varlink command line tool with TAB-completion of locally registered interfaces. 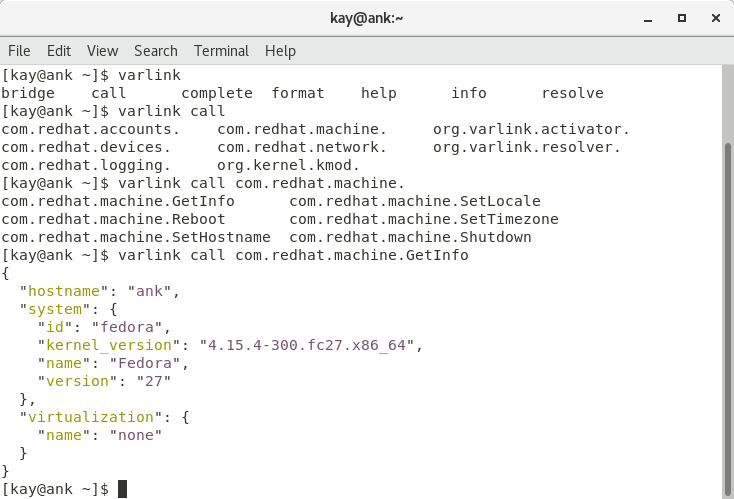 The command line tool calling a method which will be locally resolved, or call a UNIX-socket directly, or execute (socket activation protocol) a binary and connect to it, or connect to a remote host with SSH and run a varlink bridge on the remote host. Running a bridge on the remote system. All local interfaces on the remote host are accessible to e.g. a SSH client. 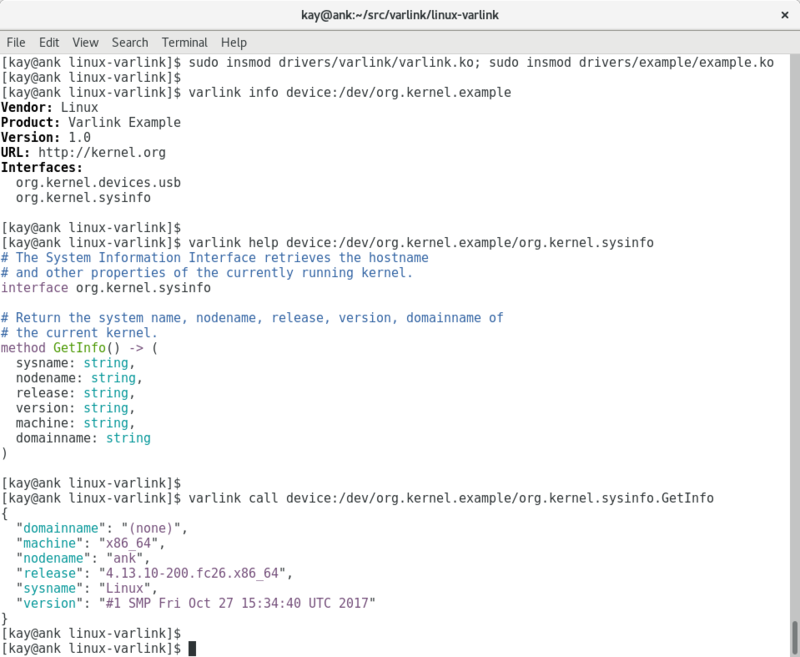 The varlink command line tool will pass its connection through the binary executed with the --bridge= option, in this case ssh. The bridge executed on the remote side will connect to the local services available on the remote machine. 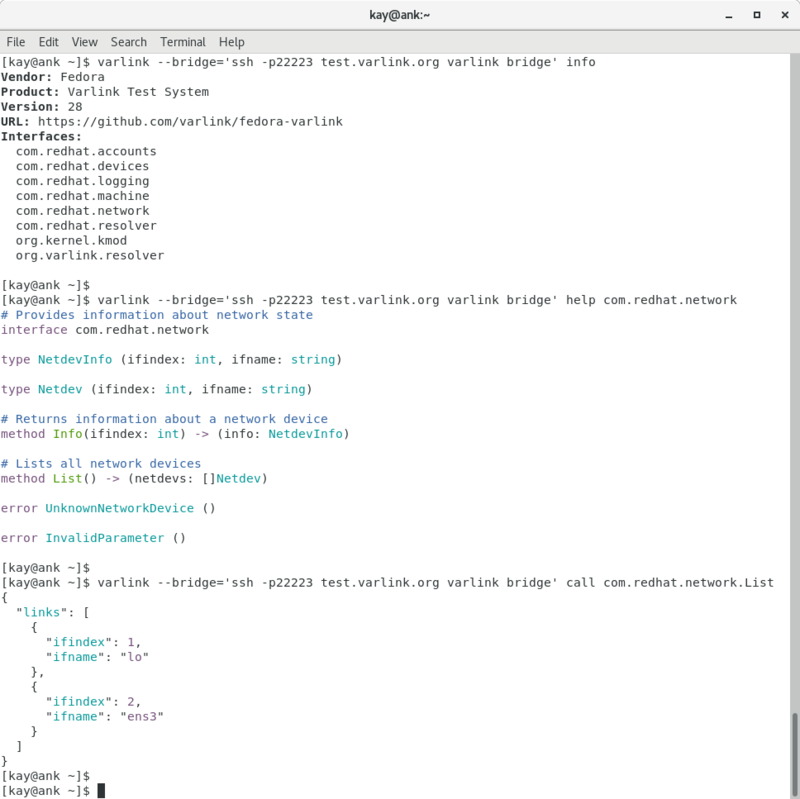 If the option --connect= is given to the remote bridge command, the bridge will connect directly to a known remote address instead of trying to resolve the address with the local resolver. 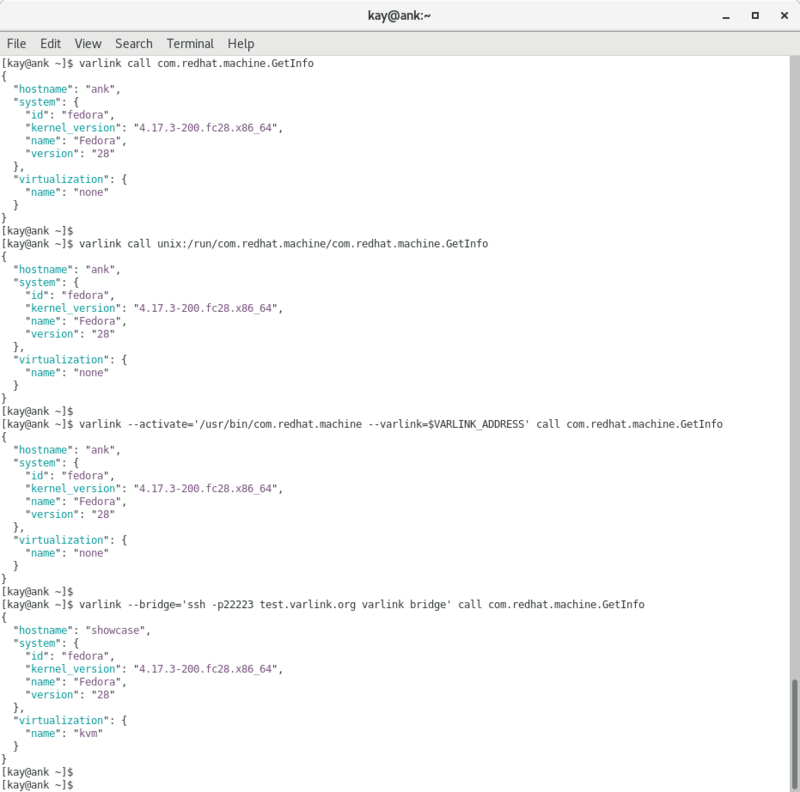 This proof-of-concept kernel module exports a varlink service over a device node, implementing system information and USB monitoring interfaces.